Take inspiration from the Amercian flag and celebrate in style with a red, blue and white colored dessert! 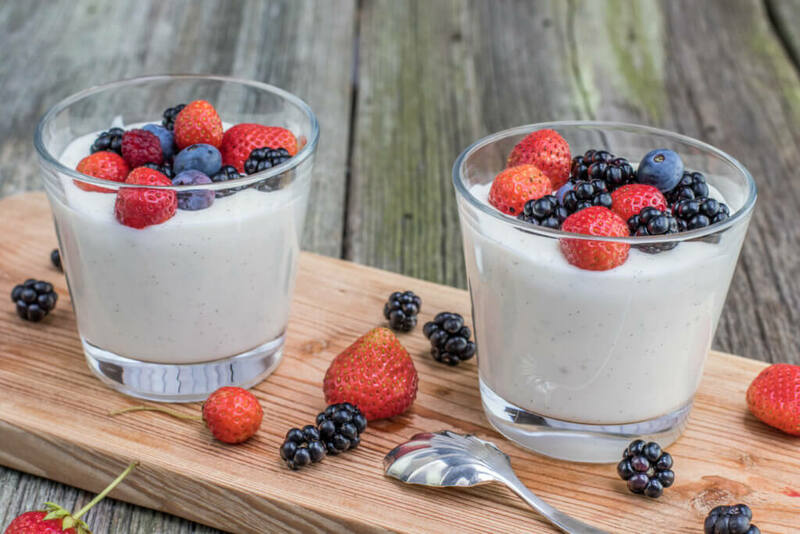 A healthy vanilla pudding topped with fresh berries is sure to make this 4th of July a memorable one! Blend all ingredients except the chia seeds together until creamy. Transfer to a bowl, add the chia seeds and combine well. Let it stand for 5 minutes, give it another stir/shake to break up any clumps of chia seeds, cover and put the mixture in the fridge to “set-up” for 3-4 hours or overnight.When ready to serve, divide the mixture between two bowls, top the pudding with berries of your choice and enjoy.